In the Philippines, there are promos for kids that give them opportunity to enjoy Maleficent. Angelina Jolie is the star this time as she portrays “Maleficent,” a character on the animated film on 1959 “The Sleeping Beauty” who is the reason for Sleeping Beauty’s slumber for a long time, read more details on our Disney Maleficent Movie Review. 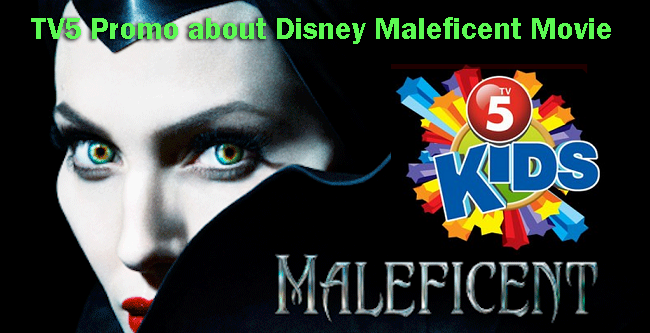 In TV5 alone, watching TV5 Kids presents Disney will allow you to win Maleficent merchandizes. If you would like to avail the promo, you should see to it that you are from The Greater Manila Area. All you need to do is register to the promo and watch TV5 Kids presents Disney shows from Mondays – Sundays. Here is the schedule of the shows that you need to watch. You have to avail watching the said programs from TV5 if you want to avail the promo. Just make sure that you have abided with the guidelines of the promo. The duration of the promo will be from May 24 – June 2, 2014. If you would like to avail the promo now, you can go to the official site of TV5 with the link TV5 Maleficent Promo and start filling up the form. Don’t forget to put your real identity so that your signing up will be valid for the promo. It is really good to be a kid when promos such as this are available.